Hensin is an extracellular matrix protein that is able to orchestrate the terminal differentiation of epithelial cells, but its regulation and mechanisms of action are unknown. Vijayakumar et al. report that activation of integrin αvβ1 on intercalated cells does not alter hensin synthesis but does lead to its deposition in the extracellular matrix. Once outside the cell, polymerized hensin binds to integrin α6 to mediate the phenotypic conversion of flat epithelial cells to cuboidal cells capable of apical endocytosis. This study highlights a role for hensin and integrins in the terminal differentiation of epithelial cells. See Vijayakumar et al., pages 1079–1091. Currently, distinguishing between the various causes of chronic allograft injury requires biopsy. Ashton-Chess et al. compared gene sets from published microarray studies to identify biomarkers that may provide a less invasive means of diagnosis. Candidate genes were evaluated in renal transplant patients with a variety of histologic diagnoses. 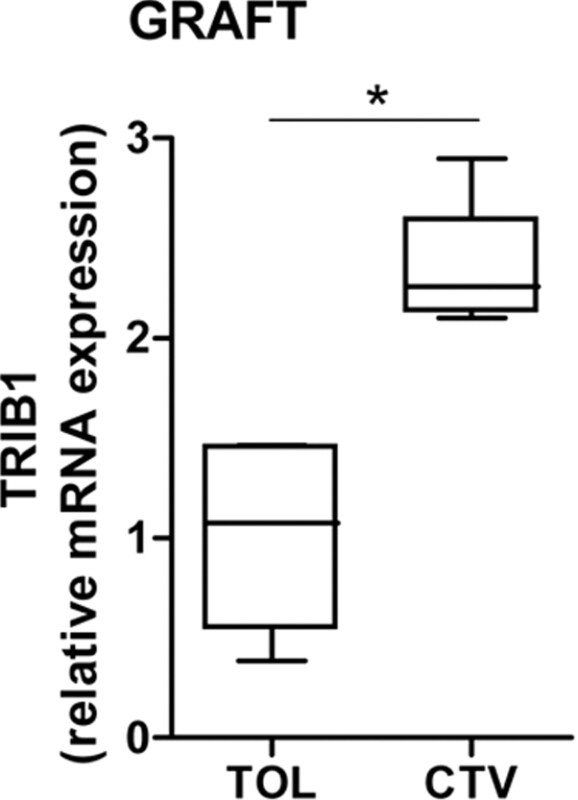 The authors report that Tribbles-1 mRNA, which they found is expressed primarily by antigen-presenting cells and activated endothelium, is upregulated in peripheral blood mononuclear cells of patients with chronic antibody-mediated rejection. If the promising characteristics of this biomarker are confirmed in larger studies, then immune-mediated chronic allograft injury may be diagnosed without biopsy in the future. See Ashton-Chess et al., pages 1116–1127. Chemokines play a crucial role in inflammation and immune-mediated disorders. In a model of immune-mediated nephritis, Menke et al. found that the chemokine CXCL10 and its receptor, CXCR3, are highly upregulated. 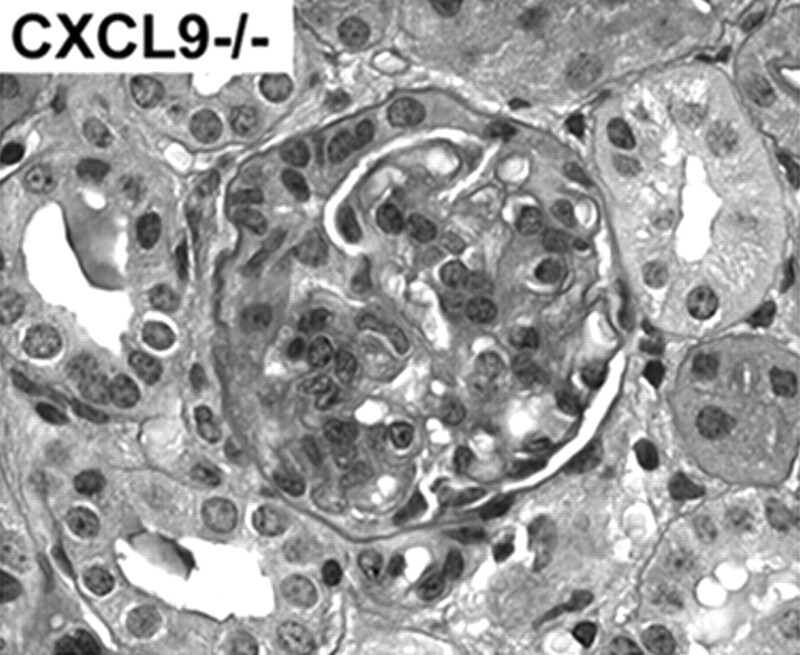 Knocking out CXCL10 does not protect mice from nephrotoxic serum nephritis, but knocking out CXCR3 or another of its ligands, CXCL9, attenuates the loss of renal function and histologic damage, decreases renal inflammation, and reduces glomerular immune deposits. These data suggest that targeting CXCR3 and CXCL9 may be a strategy to treat immune-mediated kidney diseases. See Menke et al., pages 1177–1189. Overt heart failure predicts a poor prognosis among patients with ESRD, but the relationship between lesser degrees of systolic dysfunction and mortality is unknown. In this report, de Mattos et al. 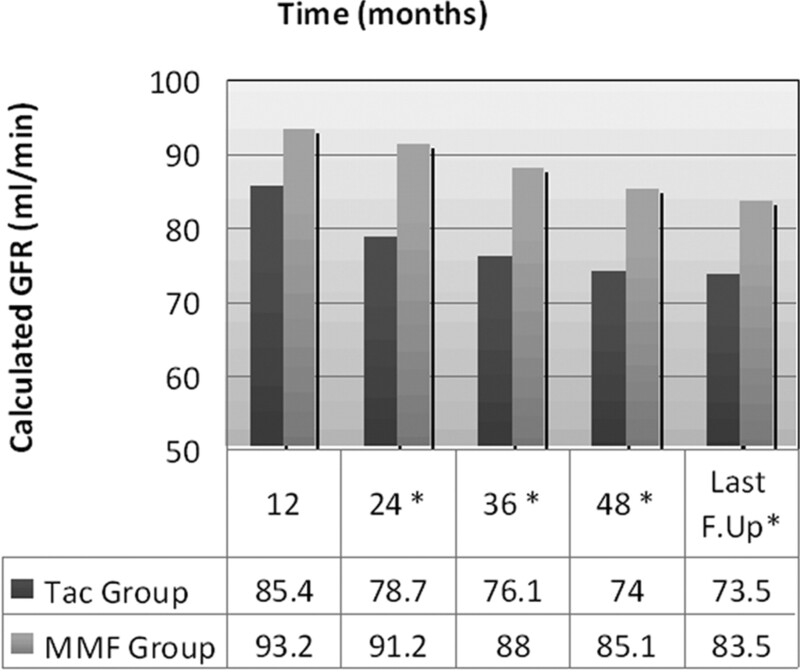 reviewed longitudinal data from >2700 patients who were evaluated for renal transplantation and found that those with a left ventricular ejection fraction ≤40% were nearly twice as likely to die on the waiting list as those with normal systolic function. This association was independent of ischemia and other cardiovascular risk factors. Whether successful transplantation modifies the risk for mortality among those with systolic dysfunction requires further study. See de Mattos et al., pages 1191–1196. Data from cohort studies conflict with regard to whether uric acid independently predicts the development of kidney disease. Weiner et al. 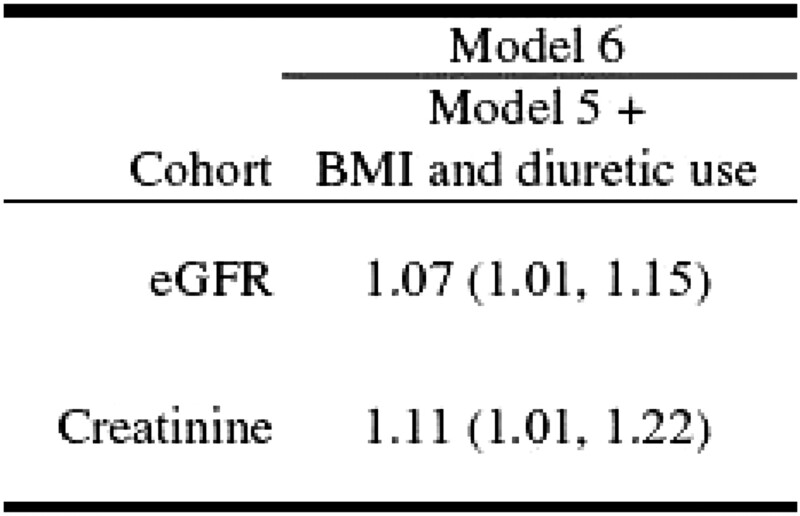 pooled data from >13,000 participants in two community-based cohorts and found that baseline uric acid level independently, albeit modestly, predicts incident kidney disease. Even after adjustment for multiple known risk factors, the risk for kidney disease increases by approximately 10% for each 1-mg/dl increase in baseline uric acid. Whether uric acid contributes to the onset of kidney injury or is simply a marker of risk remains unknown, and future studies are required to determine whether modifying uric acid levels has a beneficial effect on outcome. See Weiner et al., pages 1204–1211. Calcineurin inhibitor (CNI)-associated nephrotoxicity plagues many recipients of renal allografts. Hamdy et al. prospectively randomly assigned 132 live-donor recipients to a maintenance regimen of steroids, sirolimus, and either low-dosage tacrolimus or mycophenolate mofetil. The authors did not detect a difference in patient or graft survival between the two regimens during a mean of 5 yr of follow-up. CNI-sparing therapy, however, is associated with improved renal function and a reduced need for modifying the regimen. 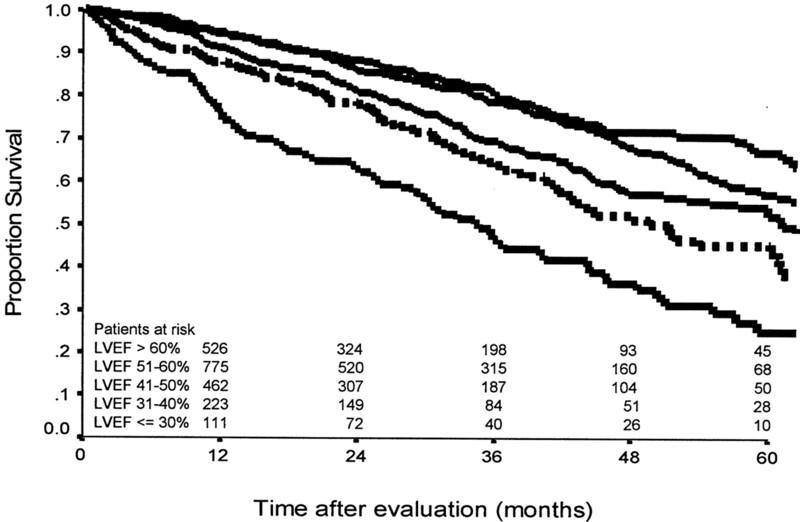 These data suggest that a CNI-free maintenance regimen is safe and efficacious among renal transplant recipients with low to moderate immunologic risk. See Hamdy et al., pages 1225–1232.